Can I get a hand raise of how many of us are not particularly fond of paperwork? My hand is raised high and after being married 30 years and being the primary keeper of our filing and bill paying I have been through so many different filing systems I can't even begin to count them. 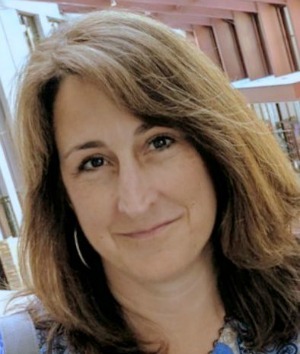 Let me tell you, I have found the one that works best for our home and my pattern of dealing with paperwork in a somewhat organized manner. I'm not buying another book on home filing again! We all need some sort of organization when it comes to keeping our paperwork in order in our homes. It makes tax time easier, helps when you need to find a receipt and it makes is quick to sort through the mail on a daily basis. 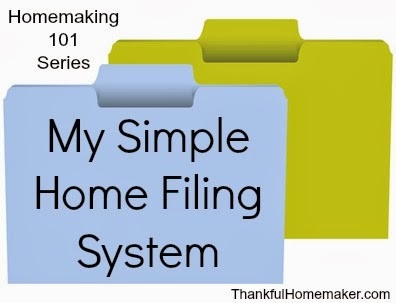 Disclaimer: This system will not work well if you are a perfectionist when it comes to filing. It is pretty relaxed and doesn't take much time. 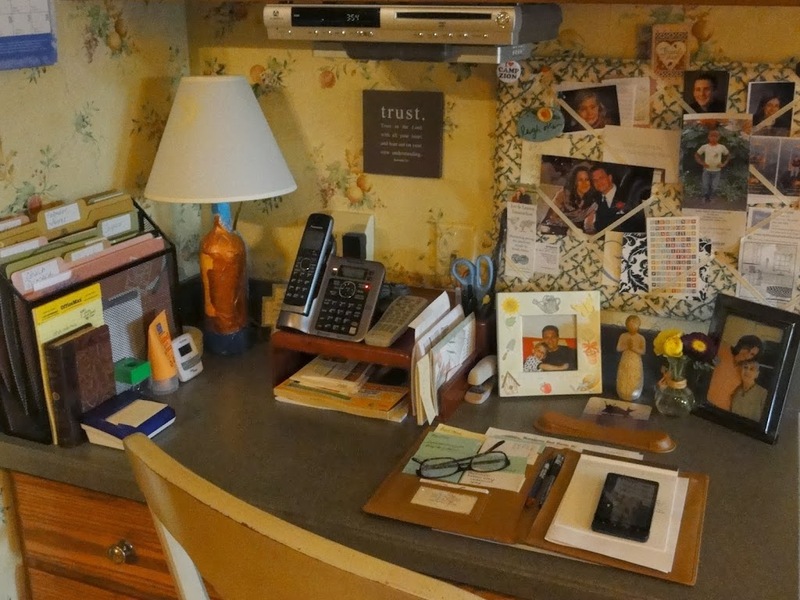 My home has three areas that I keep papers in (sounds complicated but it's not – you can break yours down into two by combing the office and kitchen): My office desk, kitchen desk and our main filing cabinet. 1. I keep an inbox for all opened incoming mail that needs to be dealt with. This is also the drop area for family to leave me items that need to be taken care of; we are talking bills, invitations, letters, tax information etc. 3. It gets pretty easy from here. As I pick up an item from the inbox it gets filed into the appropriate folder. If it is a bill to pay it goes in the bill pay folder. After the bill is paid it goes into the folder for whether it was a personal, business or church item (these folders can be eliminated if you are good at immediately filing or taking care of an item – I am not. Hence the holding folders). I usually pay bills and make deposits once a week. A calendar item would be an invitation received. It gets responded to, marked on the calendar and goes into the holding folder in case I need more information as the date approaches. After the event it gets tossed and many times the invitation can just get tossed after it's on the calendar. Address items are return labels (I tear the return address off an envelope received for an address that I don't have) or updates when someone moves that I need to put in my address book. I go through it once a month and toss them as they get updated or entered. Tax information is another holding folder because I am not a quick filer so it may be one you do not need. 4. If you are a quick filer you can eliminate a lot of these folders and steps. I tend to pay bills and make deposits weekly and do my big filing monthly. Long Term Home Improvements – These will come in handy for tax purposes when you sell your home. Keep receipts of any improvements that you have made to your home. These will help when you sell to reduce the cost of your capital gains. I also keep here a folder with information on our home's mortgage (for tax purposes) – Visit here for more information. Insurance Policies – Each policy is in it's own folder within the main insurance folder. Tax Information for the current year – This is information that we will need at year end for taxes for the current year. All filed tax returns and documents are kept in a safe in our basement. Vehicle Information – Vehicle's title and repair information is kept here. Main Folder with the Year Marked – I label it for the year and put all paid bills, receipts and anything else I would file in here. I used to keep a folder for each month of the year and file it this way but I found it was just as easy to keep it all in one big hanging file folder. If I need to find a receipt or bill stub (very rare) I may have a few minutes of sorting through but not much. I also find I don't lose papers or have issues remembering where I filed them since there aren't a lot of options. My filing has been cut back dramatically with online bill pay through my bank. I get my bank and credit card statements online and save them on our family network drive. 1. One other area I haven't mentioned are appliance manuals and those are kept near or in the same room as the appliance. Most manuals are now available online so this is an optional item to keep on hand. 2. Other important documents like marriage license, birth certificates etc. are kept in a safe in the basement. 3. In our vehicles we keep our registration and car insurance information in the glove box. 4. I have a special folder my family is aware of (in case of death) with log-in information for our financial and any other important accounts we access online or offline. It also has contact information for our accountant and attorney. (As I'm writing this I realize I need to do some updates to it). 1. I keep a desktop file box with the following folders. These will be personal to your family's needs and activities. I want you to follow with me a couple of items from start to finish within my filing system. Most of my filing into the main filing area is done once a month. This makes my filing so quick and easy and I am able to find anything in a matter of minutes (sometimes seconds). 2. Put the bill stub in the personal folder in the office. 3. At the end of the month take all items out of the personal folder to file in office and sort into the proper place in the main filing area. The paid electric bill would just go in the main folder. 1. Insurance change enters inbox. 2. Opened and placed in the personal file folder in the office. 3. At month end policy change is put into the car insurance sub-folder in the insurance folder in the main filing area. 2. Opened and responded to and marked on the calendar. 3. I keep the invitation in the calendar folder in case I need more information when the date arrives. 1. Those that may be of interest go directly into the coupon file on my kitchen desk and if not used are discarded after expiring. 1. At the end of the year I take those folders from the main filing area (2014 Personal) only pertaining to the year itself and put them in a bankers box for long term storage (we keep them for seven years and then shred). The tax forms for the year go in our safe. I do hold on to our tax forms for seven years and then we shred the old documents not needed. The Long Term File never gets moved and the insurance folder gets a quick clean out to see what can get filed with that current year. My Disclaimer: I am not a professional accountant or financial consultant so please consult your own accountant before you determine how to set up a filing system for your own home. I just know what works for our family and hope it will give those of you who have a not system a simple place to start. I have not even tackled here homeschool files or blogger records. At some point in the future I would like to work on a post on how I keep track of my blogging records. I do keep files for our home business and church but those each have separate files for each category but it is still pretty basic. 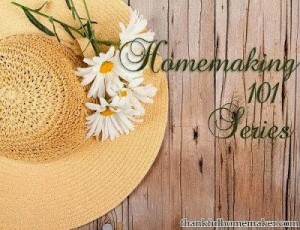 Subscribe to Thankful Homemaker and not miss a post. I’m not sure when the original post was written, but digital storage has come a long way in the past few years. Here’s a couple of things that I do. Business: With the exception of 2 long-time clients who hold out for paper, my tax office is completely paperless. Everything goes in and out through a secure portal, including digital signatures. Personal: All monthly bills are paperless and auto-pay. Bank balances are checked as part of the morning routine each day. Permanent papers (life documents) are in the safe. I have a drawer for holding temporary papers until I scan/shred. It’s an older one Alice and I probably need to update because I’m so digital now too. That’s cool your office is paperless – were not totally there yet. Thanks so much for your input. I have to say, you did a great job in organizing all that! It’s really a good idea to organize paperwork so that at the end of the day, your accountant won’t have a hard time doing his job. It’s a good idea to coordinate which papers have to be saved and which could be discarded, so that an even more efficient system can be implemented. Good luck! Would you consider doing a homemaking series post on homemakers who are just beginning (namely, newly-married young women)? Alison, I love that I idea and will ponder that one and start putting some thoughts together. Love your questions you added too – they help give me a better idea of what you’re thinking. After working in the accounting and tax field for many years I developed the need for holding on to paper. While I do get paperless statement, there are still many things I hold on to for self employment tax purposes. Thankfully this isn’t a whole lot and I am easily able to organize it in Excel and a few file folders in my desk. I keep printables handy for bills that go in my binder I made. I also use printable pages to keep track of my blogs and freelance assignments.